But an official familiar with the group has said they have more concerts scheduled. 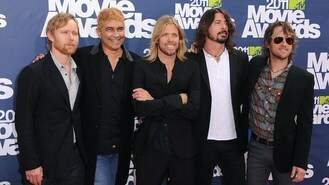 The source said Grohl's comments were misinterpreted. The official said on condition of anonymity that the band has four US shows in September and that after that it will take some time off "after touring the world for a year." Foo Fighters were founded in 1994 by Nirvana drummer Dave Grohl as a one-man project following the death of Kurt Cobain.